Already Gone: Long Awaited Cliff Lee Deal Finally Completed; Ace Lefty Traded from Seattle to Texas for Justin Smoak and Prospects. Posted on July 9, 2010 by Notorious B.U.D. 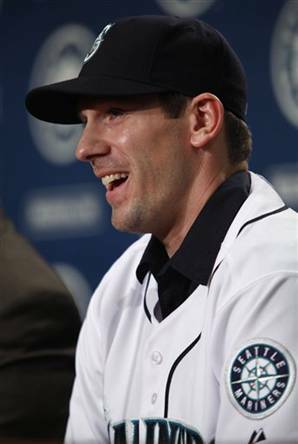 It was all smiles when Cliff Lee arrived in Seattle, but it wasn't meant to be. Despite Kelly’s warning, losing Cliff Lee won’t be any less painful for Mariners’ fans. He was one of the few bright spots in an otherwise dismal season and his affable personality and dynamic stuff made Lee a lovable character among a team of bumbling oafs. My head knew that Cliff Lee had to go, but my heart still refuses to believe it. Heaven Isn’t Too Far Away: The Authoritative 2010 Seattle Mariners Season Preview. Posted on March 24, 2010 by Notorious B.U.D. Are the Seattle Mariners bound for baseball heaven in 2010? 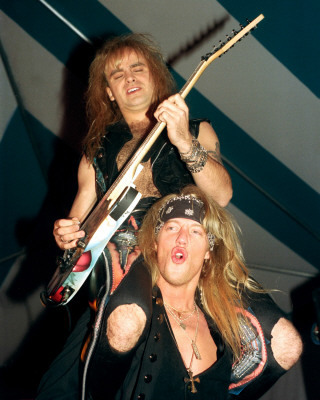 It was the year 1989 when Warrant penned their classic hair-metal ballad “Heaven”—a song that helped their album go platinum and pushed the band to the forefront of the rock-and-roll consciousness. That very same year another chart topper emerged into the national spotlight—a young ballplayer by the name of Ken Griffey Jr. who energized a sleepy city and brought direction to a long lost franchise. Now in the third decade of a storybook career, Griffey has one last, final last chance to bring a title to a championship-starved town and add the only thing missing from an otherwise spotless resume. Does he have enough left in his 40-year-old body to will the M’s across the finish line? Are his teammates up to the challenge? The Mariners need Griffey to hit like a kid again in 2010. Thoughts: While it’s not exactly Murderer’s Row, the M’s lineup should be an improvement over the squad that managed to score only 640 runs last season. Seattle might not have a single player top 30 home runs this year, but playing in spacious Safeco Field the team is better suited to rely on speed and gap power anyway, and it appears the M’s finally have a squad suited for that style of play with Ichiro and Figgins leading the way atop the lineup. The two combined for an astounding 408 hits, 202 runs and 68 stolen bases last year and should cause nightmares for opposing pitchers. Bradley has the potential to be a solid #3 hitter with decent pop and good patience but he’s anything but a sure thing mentally or physically. Griffey is expected to be in better shape than 2009 after offseason knee surgery and Gutierrez should continue to mature as a hitter after showing marked improvement last year. Lopez wouldn’t draw a walk if you offered him $100,000 for each base on balls, but he’s at least adequate for Seattle at third base and will be an improvement over the injury-riddled Adrian Beltre of last year. The bottom third of the order is better suited for play in the deadball era and will need to exceed expectations in order to avoid letting the rest of the team down. Ryan Garko and Eric Byrnes should provide some energy off the bench and talented youngster Michael Saunders is waiting in the wings with the Tacoma Rainiers if Bradley gets stupid or injured (or both at the same time). Hopefully Seattle can avoid handing out too many at-bats to the offensively challenged Jack Hannahan and Ryan Langerhans (both of whom have more holes in their swings than the plot of an M. Night Shyamalan movie). Their lineup clearly isn’t going to carry the Mariners to the pennant, but it ought to be good enough to keep games close…and that’s all Seattle’s pitchers will need. Can the Hyphenator build of his late season success and complement Felix and Cliff? Thoughts: The pitching talent drops off precipitously after Hernandez and Lee, and if they could, the team would probably pitch those two every other day (Dr. James Andrews has advised against it). The Mariners have to hope that Erik Bedard makes a speedy recovery from offseason surgery or the club might have to pursue another arm at the trading deadline to stay in contention. King Felix will be hard pressed to improve upon his 2009 season, but at only 23-years-old (24 in April), nothing is out of the question for the talented Venezuelan (he’s the odds on favorite for the 2010 AL Cy Young Award). Lee should be able to thrive in a pitcher’s park with a strong defense up the middle, and his impending free agency at the end of the year should provide him with all the motivation he needs. Rowland-Smith is a serviceable number three starter who could turn some heads after a strong finish to 2009. After Rowland-Smith however, things get a little bit murky. Ian Snell was consistently inconsistent after being acquired from the Pirates last year and unless he drastically cuts down on walks he’ll never be anything but a headache for the Mariners. Fister, Vargas and French all had moments of brilliance in 2009, but none of them have taken the bull by the horns and grabbed the #5 spot with their performances in Spring Training. Seattle has the best 1-2 punch in all of baseball with Hernandez and Lee and they’ll need to lean heavily on them with question marks throughout the rest of the rotation. A healthy Bedard is paramount to a deep postseason run. Set-Up: Mark Lowe, Brandon League, Shawn Kelley, Kanekoa Texeira, etc. It's everything I always hoped it would be. Thoughts: Just like last year, the bullpen should be the real strength of the club. 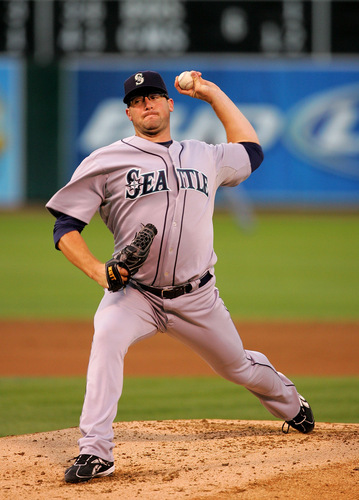 David Aardsma was one of the biggest surprises in baseball last year, and even with the expected regression in 2010, should be an above-average closer for the M’s. If he struggles, the newly acquired Brandon League has the stuff to close games, as does Mark Lowe. Texeira (thankfully no relation to the Yankees’ Mark) has looked sharp all spring and should help to bridge the gap in the 7th or 8th inning. If there is one facet of the team that I’m not worried about, it’s the bullpen. Fearless Forecast: Call me hopelessly optimistic, but something about this Mariners’ squad has me more excited for Opening Day than I can ever remember. The team has a good mix of veterans and rising stars and a boatload of positive momentum after a surprising 2009 season. The clubhouse chemistry should remain intact with Griffey still aboard, although it may suffer some with the loss of Carlos Silva (aka Felix’s BFF). The Mariners aren’t great in any one area of the game, but they are solid across the board and should be able to take advantage of a down year for the Los Angeles Angels and capture the AL West in a hard fought battle. With King Felix, Cliff Lee and Erik Bedard leading the rotation Seattle would be unstoppable in a postseason series, because as is proven year after year, pitching wins championships. 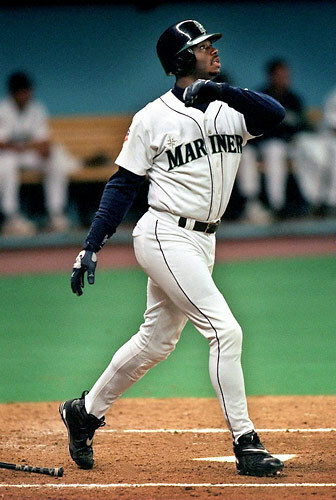 And finally, after all these years and countless tears, Ken Griffey Jr. and the Mariners will bring a World Series title home to Seattle. 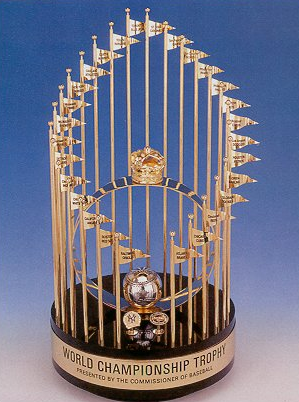 For once Mariners’ fans, heaven isn’t too far away.